The operating result, before items affecting comparability, for 2018 was SEK 22.8bn (22.7) and return on equity 13.4 per cent (12.9). The operating profit amounted to SEK 27.3bn (20.8) and the return on equity was 16.3 per cent (11.7). "All in all, our diversified business mix generated stable financial results and this year the corporate customer segments were the main drivers of financial performance. Customers benefitted from the prolonged strong business cycle. Large corporate demand for traditional bank lending, as well as advisory services and event-driven financing, continued to grow. Financial institutions became more active towards the end of the year as volatility picked up. Small and medium-sized corporate customers in Sweden and the Baltic countries increased their demand for lending. 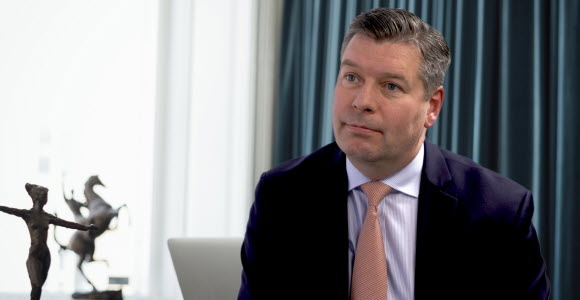 SEB also experienced continued growth in payment and card fees, following higher customer transaction activity", says Johan Torgeby, President and CEO. Operating profit for the fourth quarter before items affecting comparability was SEK 5.8bn (5.6). Return on equity was 12.4 per cent (12.7) while return on equity before items affecting comparability was 12.8 per cent (13.1). Operating income for the fourth quarter amounted to SEK 11.7bn (11.4). Compared to the fourth quarter 2017, operating income decreased by 1 per cent. Operating expenses amounted to SEK 5.6bn (5.4). Compared to the fourth quarter 2017, operating expenses decreased by 1 per cent. Asset quality remained strong. The net expected credit loss level was 8 basis points for the quarter. The Common Equity Tier 1 capital ratio was 17.6 per cent. SEB's own assessment of the CET1 requirement was 14.9 per cent. The capital buffer above the requirement was 270 basis points. The Board of Directors proposes an ordinary dividend to the shareholders of SEK 6.00 per share (5.75) and an extraordinary dividend of SEK 0.50 per share. You can download the Annual Accounts, Results Presentation and Fact Book from https://sebgroup.com/investor-relations/reports-and-presentations/financial-reports. above, at 7 am CET, on 30 January 2019. SEB is a leading Nordic financial services group with a strong belief that entrepreneurial minds and innovative companies are key in creating a better world. SEB takes a long term perspective and supports its customers in good times and bad. In Sweden and the Baltic countries, SEB offers financial advice and a wide range of financial services. In Denmark, Finland, Norway, Germany and the United Kingdom, the bank's operations have a strong focus on corporate and investment banking based on a full-service offering to corporate and institutional clients. The international nature of SEB's business is reflected in its presence in some 20 countries worldwide. At 31 December 2018, the Group's total assets amounted to SEK 2,568bn while its assets under management totalled SEK 1,699bn. The Group has around 15,000 employees. Read more about SEB at sebgroup.com.